Recitation and memorization are an important part of a Classical Education. And sometimes it's just handy to have some things memorized (like prepositions)! Memorization and recitation do not have to be boring (especially in the elementary years). 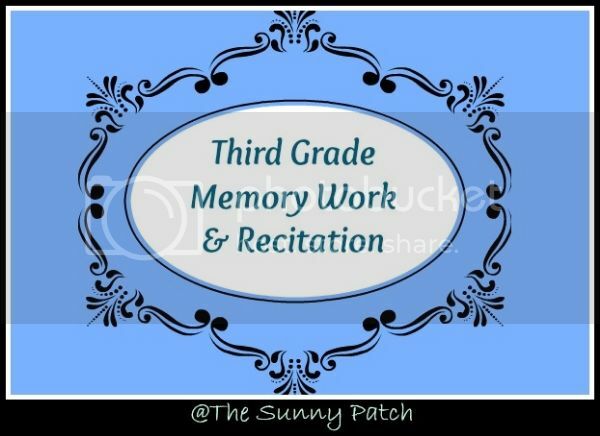 Creative Ways to Memorize from Sola Gratia Mom is a great round-up of ideas for adding some fun and creativity to daily recitation time. So how can you implement a daily recitation time into your day? My favorite method is the Scripture Memory System from Simply Charlotte Mason. We change the system slightly by using a binder and tabbed dividers instead of an index card box. But the system works very well. You're constantly reviewing previously learned material so things always stay fresh. Now that we agree on the importance of memorization and recitation and we have a system in place, it's time to decide what to memorize.My one goal for our daily recitation time is to make it relevant. If we are studying ancient Egypt we recite a list of important pharaohs. If we are learning about astronomy we memorize the names of the planets and the types of stars. As Susan W. Bauer says, we are creating "pegs" for learning. When I'm planning our school year I take some time to choose things for memory work. I type them up and put them in our binder behind a tab marked "new work". When TJ has fully memorized a piece and it gets moved out of the daily section, she chooses something new to memorize from that section. There are a few resources that we like to use (and some that always seem to be at the top of everyone's list) when we're choosing new things to memorize. With a simple system in place and a bit of planning at the beginning of a new school year, adding a daily recitation time is not difficult and will provide numerous benefits. When I heard about the Scripture Memory System I thought it sounded perfect for our needs and it really has been! It's become an indispensable part of our morning routine. We use (a modified) version of the system to memorize Scripture as well as poetry, French, history, and science. Each morning, as part of her routine, TJ pulls out her binder and goes through the appropriate sections for that day. Once a month she recites her daily work aloud without using the binder and we move things and add new items as needed. This system has worked so well for us! TJ has a daily recitation time each morning when we work on Scripture memory work, poetry, history or science lists, and any other miscellaneous topics. The following is a list of things TJ memorized during her second grade school year. 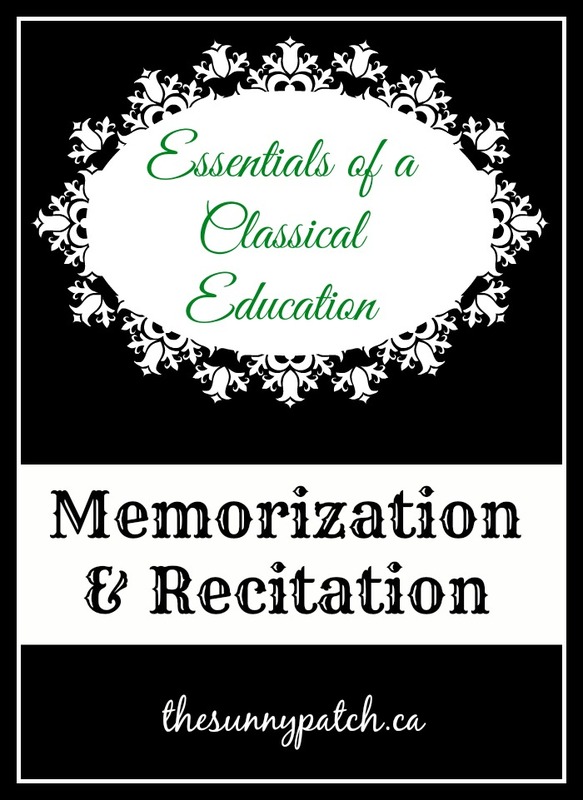 While reading about Classical education, one of the first things that made an impression on me was the many references to memorization, recitation, and daily drill. And the more we streamline our school day the more important these skills have become.